"Are you all ready?!" Netflix has unveiled a full-length trailer for the concert doc Justin Timberlake and The Tennessee Kids, profiling the latest tour from the famed musician/singer. 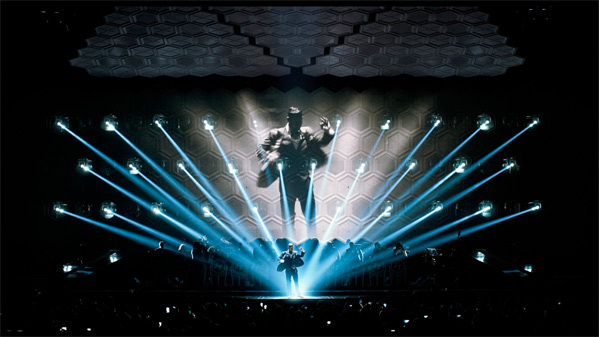 Directed by Academy Award-winning filmmaker Jonathan Demme, the film follows Justin Timberlake as he performs on the road with his Tennessee Kids band and bevy of talented dancers. This looks like it might be crazy fun and will get you dancing in the aisles. The doc just premiered at the Toronto Film Festival earlier this month, and earned rave reviews from critics who were quick to point out that it's much better than your average concert doc. One glowing review states: "the sheer spectacle that Demme has captured will be almost impossible to fully appreciate when watched at home… but it's an exuberant thrill on the big screen." Certainly looks that way. The Netflix Original Film showcases the entertainer’s final date of his 20/20 Experience World Tour at the MGM Grand Garden Arena in Las Vegas. Surrounded by the 25 band members of The Tennessee Kids and featuring show-stopping performances from one of the highest-grossing tours of the decade, the film is a culmination of the singer's 134 shows and 2 years on the road. Justin Timberlake + The Tennessee Kids is directed by Academy Award-winning filmmaker Jonathan Demme (of films including The Silence of the Lambs, Neil Young: Heart of Gold, Philadelphia, Jimmy Carter Man from Plains, Rachel Getting Married, Neil Young Trunk Show, Ricki and the Flash) and produced by Emmy Award winner Gary Goetzman (Band of Brothers, John Adams). This first premiered at the Toronto Film Festival. 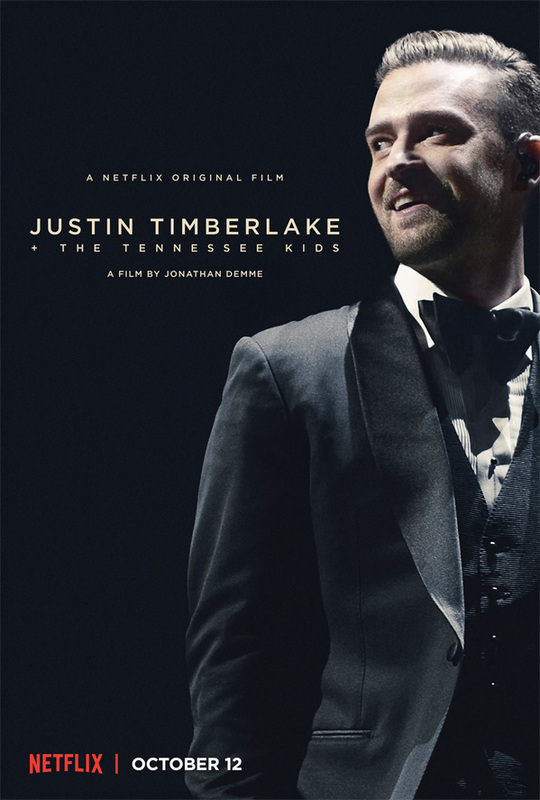 Netflix will release Justin Timberlake + The Tennessee Kids in limited theaters + on streaming starting October 12th. Who's excited? One of the funniest social media moments this year was when the cultural appropriation police went after Timberlake...this won't be doing him any favors in that regard either. Justin said some goofy S and some sensitive people went after him saying that he takes Black culture and uses it to his advantage. It is some weird stuff to angry about and probably not worth your time to research. Just know it happened and people who have influence in this world must exercise extra precautions or face people who like to always be upset. Time out was horrible though. Not his fault. Awful screenplay. Even though the idea of another Jonathan Demme directed concert film is intriguing, I can't bring myself to be "excited" due to the subject matter.